Casuarina Beach is the ultimate in premium beachside living. 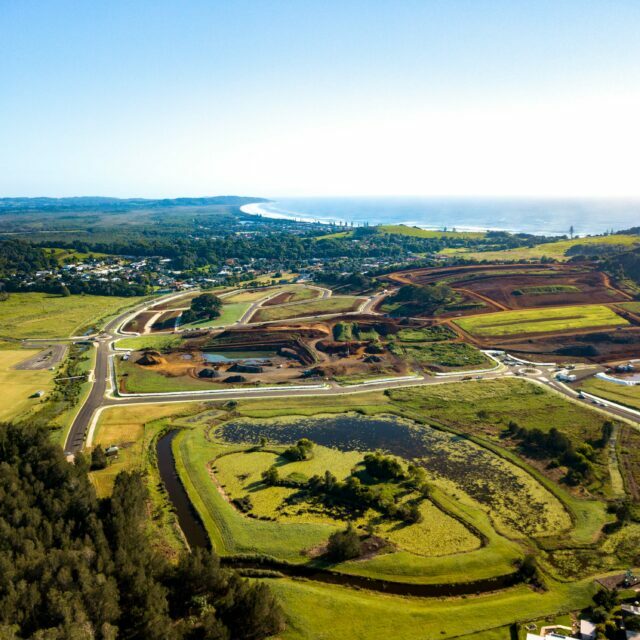 From the ocean to the valley, this exclusive masterplanned community adjoins some of the most pristine beaches on the North Coast of NSW, and is surrounded with a variety of cafés, award-winning restaurants, local shopping centres, reputable schools and childcare services. Particular consideration was given to the sensitive setting during the planning and design phase of the estate, to ensure a seamless transition between the town centre and the adjoining coastal foreshore areas. This has been achieved through establishing green buffer zones and open space areas to the north and the east, which provide a link to the existing established vegetation of the foreshore areas adjoining the eastern boundary of the site.